During these three years teachers were trained and guidelines for a more inclusive evidence based approach were developed for teachers and headmasters. 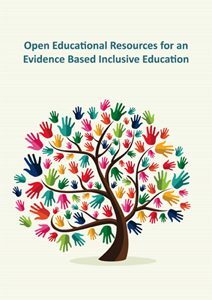 All experiences and recommendations deployed in the project for a more inclusive education are reported and published as Open Educational Resources (OER). The document presents the EBE-EUSMOSI Model for Inclusion that aims to facilitate evidence-based education for school inclusion and to support all learners and to develop and build their social, emotional and prosocial skills. This document introduces the EBE-EUSMOSI Model for Inclusion and analyses the needs for model for school inclusion. It explains the meaning and methodology of evidence-based education that is the basis of the EBE-EUSMOSI Model for Inclusion. Finally it explains the experimental methodologies that were used for the evidence-based model and how the EBE-EUSMOSI Model for Inclusion was developed. In the end you can find further references for all sections.